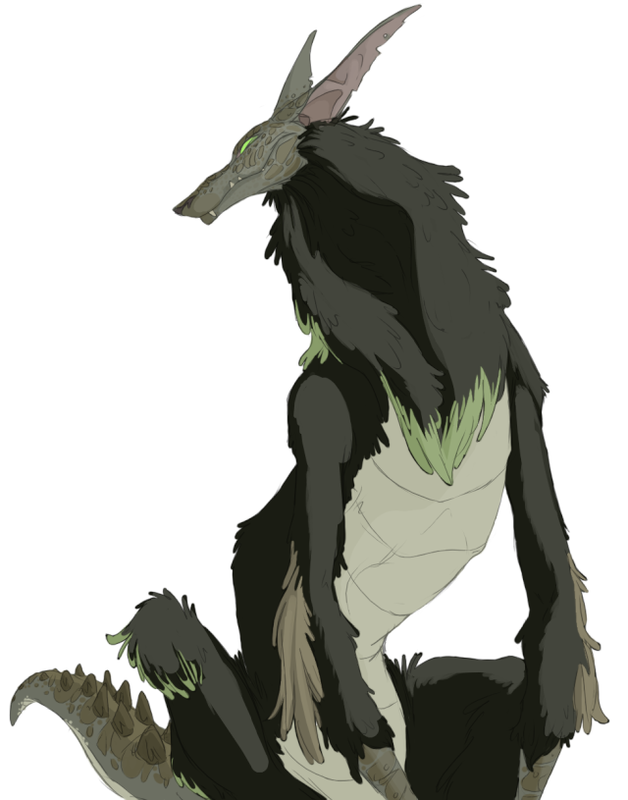 Description: Cailean is a tall and lean animal, sharing the characteristics of a jackal and an alligator; the head shape, fur, and general body shape of a jackal or other canine, and the teeth, thick skin, tail, and jaw power of an alligator. He is nearly nine feet at standing, and is about twenty feet long, able to carry at least three people on his back. The jackalgator is also very fast, very nearly as fast as an eel-hound, but more muscle mass prevents that level of speed. Besides this, the jackalgator has one odd feature; their eyes. Slim, emerald apertures, the eyes give an air of wickedness, and because of this, jackalgators have been hunted nearly to extinction, out of fear alone. As such, Cailean is an extremely rare animal, possibly even the last jackalgator on the planet. However, if a jackalgator begins to trust a human, they may let their guard down, and when feeling non-threatened, their eyes grow a bit wider, and the dark green pupil becomes more visible, giving a more harmless look. 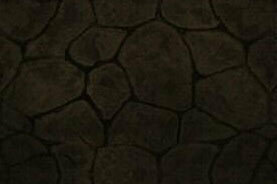 Abilities: Strong Jaw: Cailean's jaws are capable of crushing stone, and chomping straight through wood and bone.